Throughout the guide, click on any product title text or product image to shop directly. I’m so excited to share with you my 2nd annual ‘Complete Guide to the Holidays’ – featuring style tips for every occasion (from office holiday parties to Christmas morning), gift guides (there’s something for your tricky to buy for brother in law and your work wife), home decor ideas + my tips on best spots to visit in NYC this time of year. I’ll be adding new content to the guide each Monday for the next month so that you can continue to check back in and use this as your holiday handbook. Enjoy! Can you believe the holiday season is here?!? I’m still trying to wrap my head around it honestly, but choosing to embrace it regardless. Especially holiday party season. Our old apartment was not at all conducive to having friends or family over, but now that we’re in a different space that really lends itself to entertaining, I knew I wanted to get my act together enough to host a little holiday cocktail hour this season! 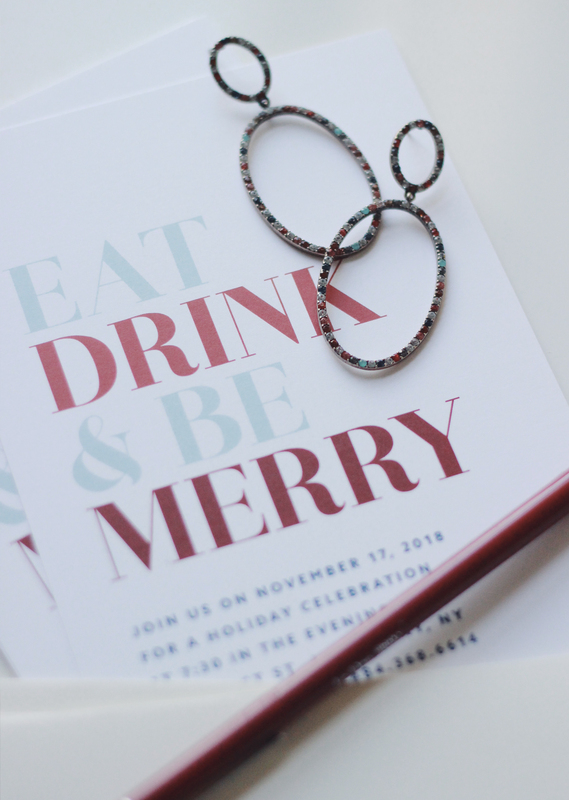 This time of year always sneaks up on me, so I was thrilled when Basic Invite (an online resource with over 500 Christmas card and holiday party invitation options) reached out to give me the nudge to print my invites early. I wore this turtleneck sweater dress on three separate occasions last week. Which led me to the swift realization that perhaps it’s time I picked up another one for the season ahead because the sweater dress might just be the unsung hero of my wardrobe. 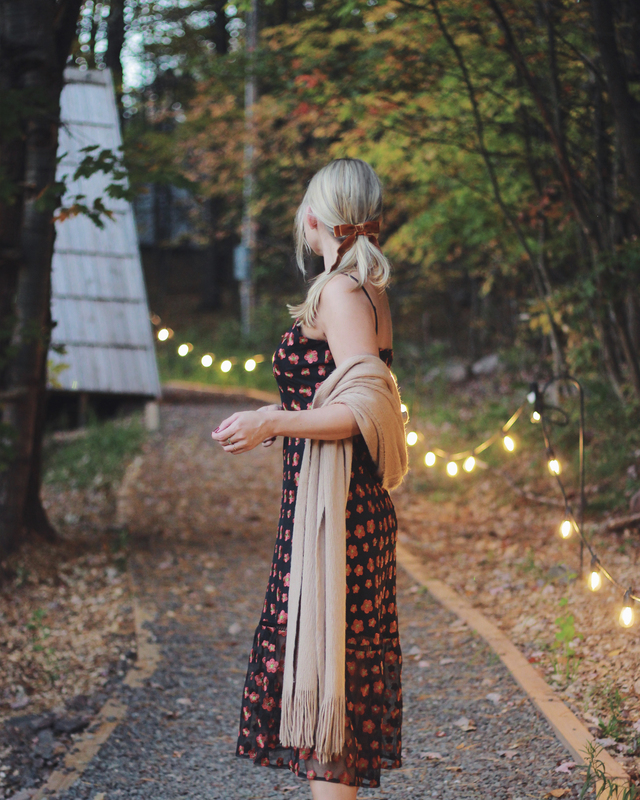 They’re super comfortable yet still chic, you can wear them with ankle boots and a moto jacket (like I did last weekend) or you can dress them up with over the knee boots and statement earrings for date night. I argue there’s next to nowhere a sweater dress can’t take you. So in that spirit, I’ve rounded up a few below I’m eyeing. 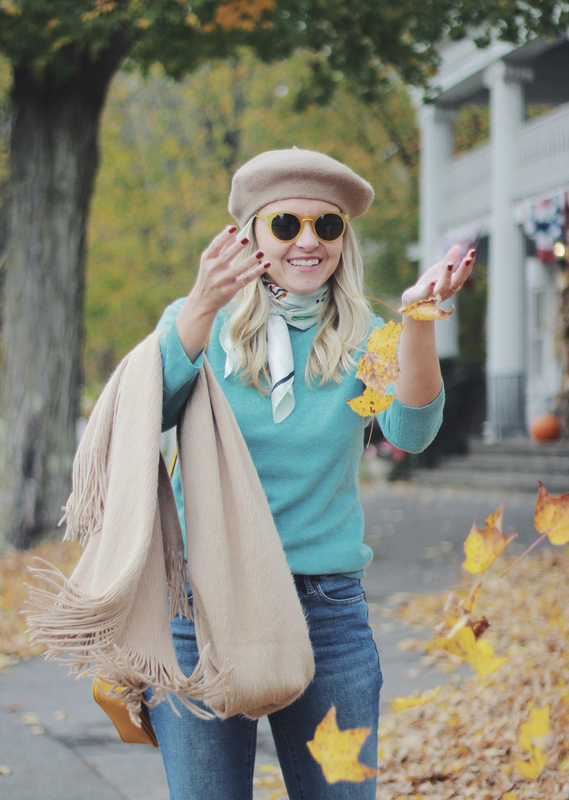 I want to pretend like I’m too cool to get this excited over a pile of colorful leaves.. but honestly I’m not. And you shouldn’t be either. There’s a real joy to living in a place that has seasons, and after that year and a half stint I did out in LA I don’t think I’ll ever take it for granted again.